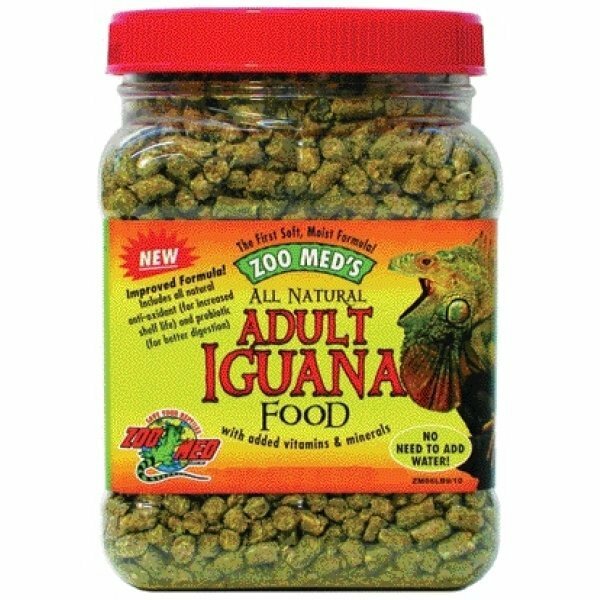 Zoo Med's Adult Natural Food contains no artificial colors, flavors, scents or preservatives. It is naturally fortified with Spirulina, bee pollen and beta carotene. These natural additives provide essential amino acids. 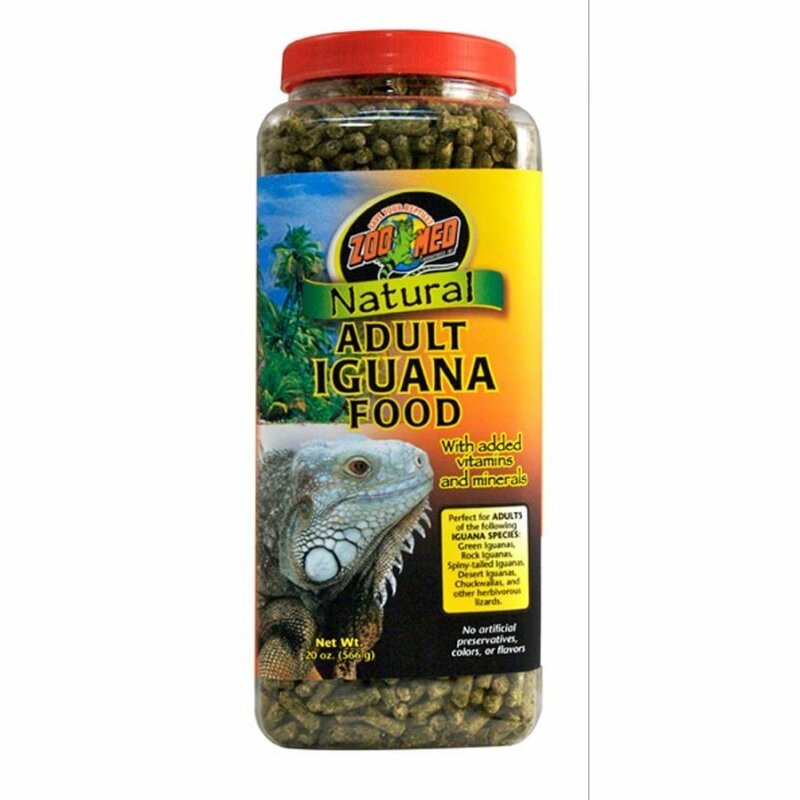 Adult Iguana Food All Natural has different options and/or variations, please choose below. Zoo Med's Adult Natural Food contains no artificial colors, flavors, scents or preservatives. It is naturally fortified with Spirulina, bee pollen and beta carotene. These natural additives provide essential amino acids, enzymes and vitamins to promote overall health and vigor. Sun-Dried alfalfa meal, wheat middlings, fish meal, ground lima beans, collard greens, mustard greens, kale, soybean and corn oil, glycerin, yeast culture, dried spirulina microalgae, vitamin E, mixed tocopherols, rosemary extract, ascorbic acid, citric acid, lecithin, silicon dioxide, ascorbyl phosphate, choline chloride, vitamin A, vitamin D3, niacin, D-calcium pantothenate, menadione sodium bisulfite complex, riboflavin, thiamine mononitrate, pyridoxine hydrochloride, D-biotin, folic acid, vitamin B12, zinc oxide, manganous oxide, iron sulfate, copper sulfate, calcium iodate, sodium selenite.